What Mentality Do You Have On The Field? What mentality do you arm yourself with when playing against naturally gifted soccer players? 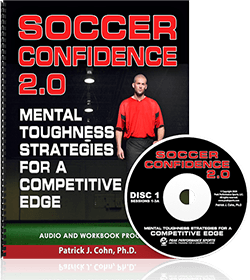 When you play with more talented teammates or against skilled opponents, do you play with confidence or are you overwhelmed by nerves? 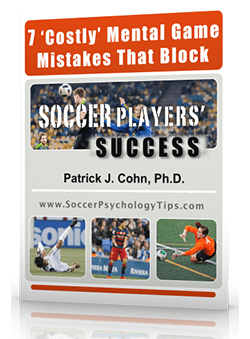 Some soccer players become so anxious playing against tougher competition that their performance drops off dramatically. But what if “talent” worked at a bare minimum and you dedicated yourself to vigorous, focused, committed, stouthearted effort… would that greatly increase your chances to succeed? If you can work hard, put in the effort, comprehensively prepare and go for it in games, you can often beat those with talent who don’t put in the work. B.J. Snow was hired as the U-17 Women’s National Team coach in 2013 and immediately wanted to develop a yeoman-like work mentality. Snow, the former head coach of the UCLA Bruins women’s soccer team, set the tone for how he wants his team to train and the need to work hard. Former All-American and collegiate coach April Kater was hired with Snow as the Head Development Coach for the U.S. Youth Women’s National Teams in 2013. Kater believes you may not be able to out-talent someone but you can definitely outwork your competitors. From her days as an elite soccer player, Kater has learned the value of hard work. Snow and Kater have instilled the importance of hard work and its impact on confidence as the U-17 Women’s National Soccer Team continues its preparation for World Cup qualifying matches. Snow and Kater know that talent starts the road to a successful World Cup showing but it is hard work that actually wins the Cup. 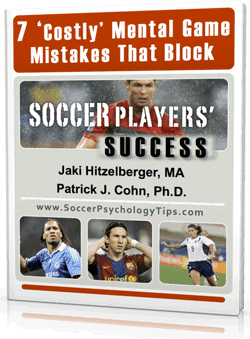 What would a “relentless” soccer player do in training and competition? Use this word as a guiding and motivating force when you practice and compete. Write the word on your hand, cleats, wristband or somewhere to trigger that competitive mindset. Work… work hard… work focused… then work some more!